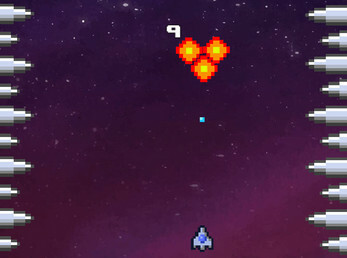 The Earth is Under attack! Welcome to earth 20xx. 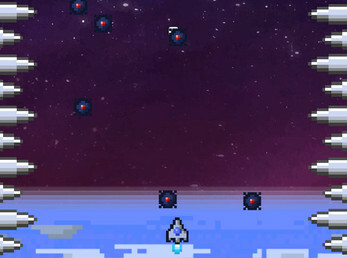 The world is being bombarded by millions of space mines, deployed by the evil space pirates to wipe out humanity so they can sell your planet on the black market. 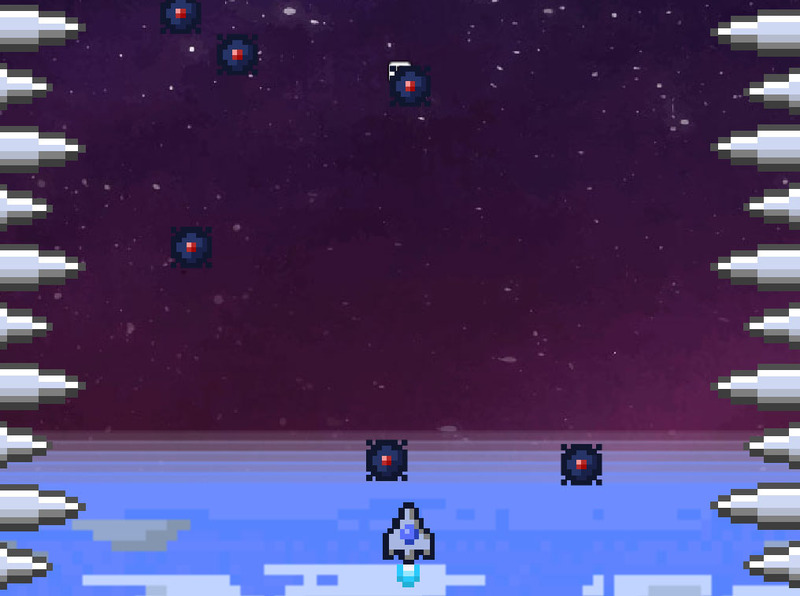 in a desperate act, the world leaders have sent its space fleet to shoot down as many mines as they can, knowing full well that they will never return! 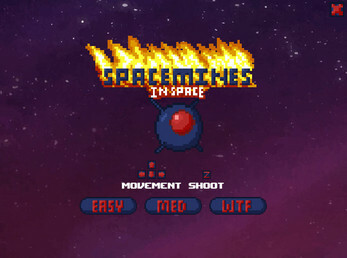 - mines will interact with each other, you can shoot down or even dodge mines to increase your score. - Gravity will constantly pull you down. - Truly a test in futility! 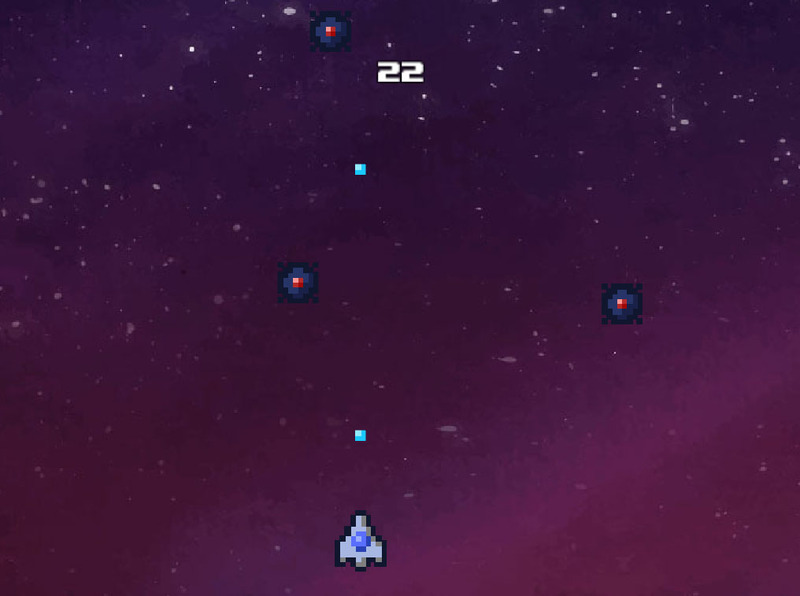 This game is marked as in development as I plan on tightening controls and adding features, perhaps even releasing it in the form of a "Space Mines 2"! The game itself is free but with the option of paying what you want. While you don't have to pay, every bit helps me to make newer and better games! This is a standalone file, so you should be able to place the game with its folder in any directory and play it just fine. 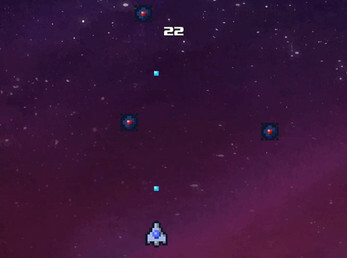 As a quick note the game doesn't play very well on the lowest Resolution setting and the keys are bound to the arrow keys and Z, so you can't change any of that. I'll be changing how the game handles input later, just as soon as I figure out how.